Home — Flüüfff 2018 — Welcome to the Abbey! 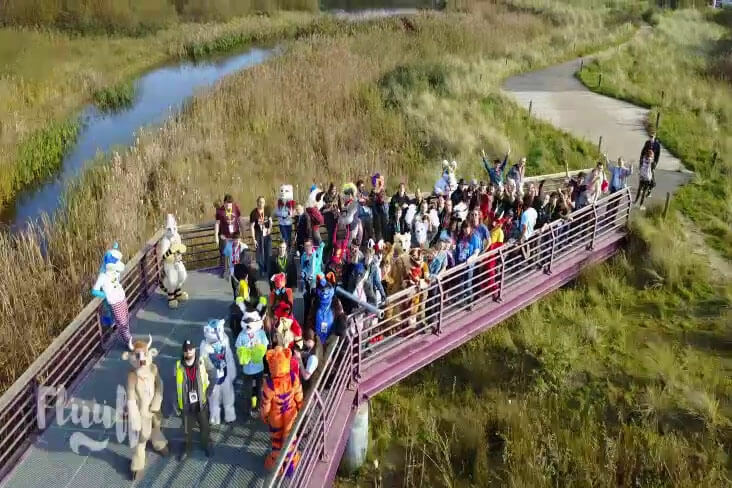 2nd edition of Belgium's furry convention 31st of October to the 4th of November Already 180 attendees (including 69 fursuiters) and growing! After the success of last year, the Flüüfff crew is happy to welcome you for the second edition of this event. We'll welcome you from the 31th of October to the 4th of November in the Corsendonk Duinse Polders hotel in Blankenberge. It's Belgium's furry convention, located at the Belgian coast! Flüüfff is an event dedicated to anthropomorphic characters and a gathering place for all furries and their friends. Notifications: in case the schedule changes you'll receive a notification. Schedule auto-update: the schedule now automatically updates. You can still buy day tickets until October 24, midnight! Be quick, don't miss the opportunity to go to the second edition of Flüüfff. To your agendas, set your alarms! Registration will open the 6th of April at 20:00 CET. We're back with rooms for 2, a new pricing and a roomsharing system (for real!). We are now officially live! Registration will open pretty soon! Travel directions can be found in the Travel section and a temporary Planning of Events is also available.